Good Sunday! I hope y’all are having a good day! Saturday was GORGEOUS around here. My kids even played outside in shorts and t-shirts for a while this afternoon! Did you get to spend time with family or do anything fun this week? We have had a great weekend. My in-laws came over for a while Saturday, then a good friend [who is also one of my first readers and sees my manuscripts in all their awful first draft glory!] came over to hang out and watch the new episode of Girl Meets World and then Jurassic Park. Fun times! Giant piles o’ LEGOs! The piles have grown since this pic was taken several years ago. But Friday night? 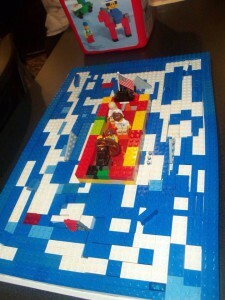 Friday night was the 13th annual LEGO Night! Kids from Kindergarten to 5th grade, along with a parent or older sibling as their partner, build something to do with the assigned topic. It’s a madhouse! As my 13yo would say, it was “cray cray.” Last year, we had just over 100 kids [or about 200 people total]. This year? Oy! 185 kids! Between siblings and parents, etc., there were well over 300 people there! It’s always great fun with good friends and laughter [but boy it get loud!] and food, of course! See those LEGO cookies?! Yum! They’re one of my favorite parts! Do you have anything along those lines at your church? Our birthday celebration will kick off next Saturday! Be sure to check out the great prizes [books!] that we’ll have for several weeks! Monday, Narelle Atkins took us behind the scenes of her new release, Winning over the Heiress! Winner of a copy of the book is Sonja! Sally Bradley stopped in on Tuesday to talk about how hard it can be to leave beloved characters behind. On Wednesday, Heather Gray talked about what Valentine’s Day might look like in fifty years. Thursday, JoAnn Durgin reminisced about Donny Osmond and the impact he had on her writing career. Deb Kastner talked about perceptions on Friday. On Saturday, Autumn MacArthur talked about dry spells. Secretly Yours by Valerie Comer will be FREE February 12 & 13. But I was wondering who won Deb Kastner and Autumn MacActhur’s books? 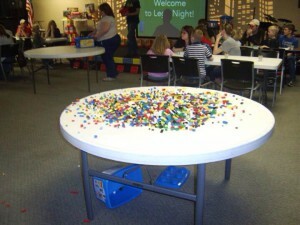 The Lego night sounds SO exciting!! My 17 year old would love something like this, yes, he’s still crazy for them :-) And those cookies look awesome….is there a recipe somewhere? I’d love to make those for my family & share them with my church. It was a pretty quiet week around my house. Friday night a good family friend was in town overnight. Went & visited them at the motel & got caught up a bit. Always nice to catch up with those we don’t get to see often. I’ve really been enjoying all the blogs! I’ve not been here long, but I think each one touches me in different ways. The Lord has really used some to speak to my heart! I always look forward to each days blog. Can’t wait for the birthday celebration…a great time to be had I’m sure! Also, congrats to Sonja on winning a copy of “Winning over the Heiress”. Hope you enjoy it, looks like a great read. Have a blessed week this week & may you feel the Lord shining on you in many ways! 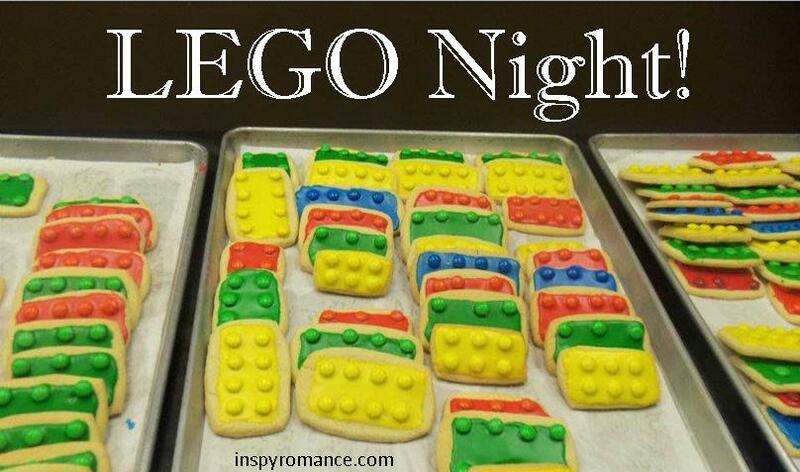 Carol, the Lego cookies look fun to make and eat :) I haven’t heard of Lego nights and my daughter thinks it’s an awesome idea!